Give your traditional chicken wings an Asian-inspired twist using this teriyaki chicken wings recipe! 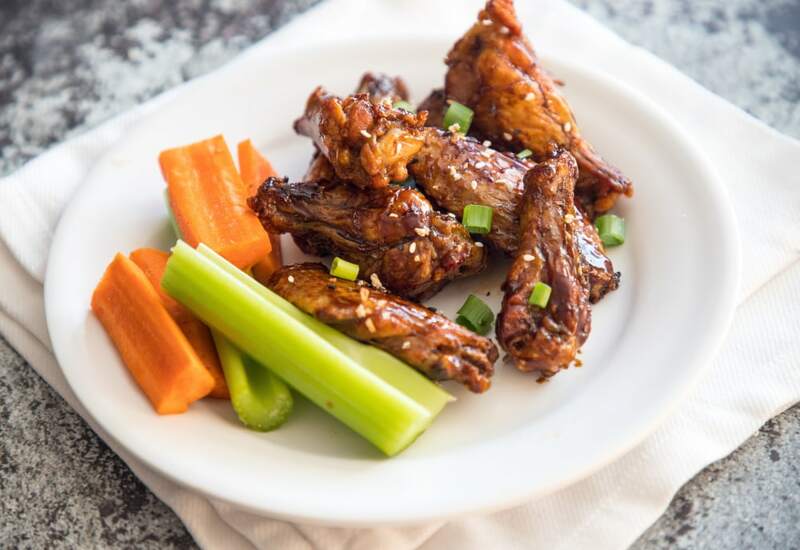 You make your own teriyaki sauce using soy sauce, brown sugar, apple cider vinegar, ginger, and garlic and cook the wings in the air fryer, producing a tasty and savory appetizer in just under 1 hour. Serve with celery, carrots, and your favorite refreshing beverage. 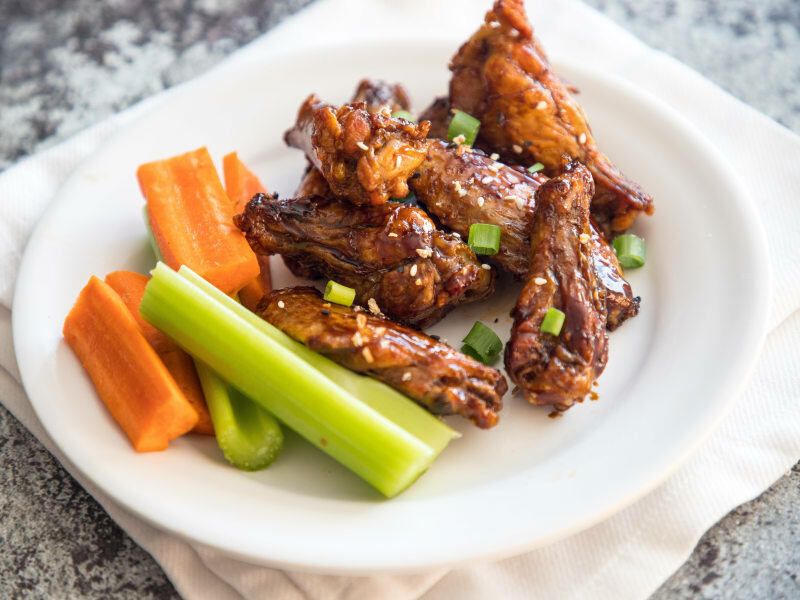 Make these chicken wings gluten free by using a wheat free soy sauce, such as tamari. This recipe can be made with reduced sodium soy sauce if you want less sodium but still the flavor of soy sauce in the teriyaki. Per Serving: 531 calories; 26g fat; 30.4g carbohydrates; 42g protein; 213mg cholesterol; 3660mg sodium. I made this recipe using the gluten free substitute, tamari, for some friends that came over. We all loved the way it turned out. The air fryer is one of my favorite ways to make wings, and the sauce is really full of flavor. We topped it with toasted sesame seeds and served it egg rolls.